How Do I Keep My Pet Safe In The Car? Every time you get into the car, safety is paramount – for us and our pets too. Driving through heavy traffic can be bad enough never mind with an over excited Chi-Poo hanging off your arm. And if you remember the Highway Code (*dusts off copy from behind the sofa) you’ll know that it’s the law to make sure all pets are restrained in some way or another so that everyone is safe when out on the road. What does the law say about animals being in the car? So whether you’re on your way to the park, the vets, or on the verge of winning first prize for Fluffiest Tail at the local dog show, you’ll need to make sure your pet – be them cat, dog, rabbit or Komodo dragon – is safely secured and unable to cause any distraction or injury. What do I need to keep my pet safe in the car? The main priority is to make sure pets – like humans – are properly and comfortably restrained while in the car. Just think – if you saw a child roaming around a car while it was moving, you’d be concerned for their safety. It’s the same with pets – if your rabbit is hanging out of the window or your cat is helping themselves to travel sweets – you’re doing it wrong. How do I keep my dog safe in the car? Lots of people think about how they can keep their dog comfortable in the car while keeping their seats clean, but not many think about how to keep them correctly restrained. The main way you can keep your dog safe is by using dog car clips and harnesses. These clip into your car’s seat belt buckle and have a short lead so your dog can be kept in place. 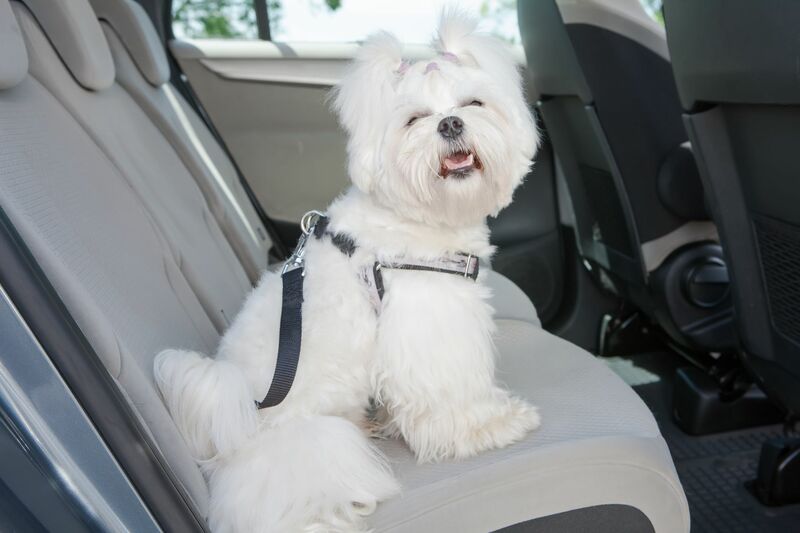 You can also get dog car cushions and seats which can be secured via the seat belt and then include a handy clip for your dog’s collar so they’re kept under control. If you have a cat, small dog or another type of pet like a rabbit, then there are lots of ways you can keep them secure. Pet carriers are great for small pets. They’re not only comfortable, but the soft material makes getting them in and out a breeze. The little windows let them see out when you’re on the go and many of them have collar clips inside to stop your pet from jumping out. 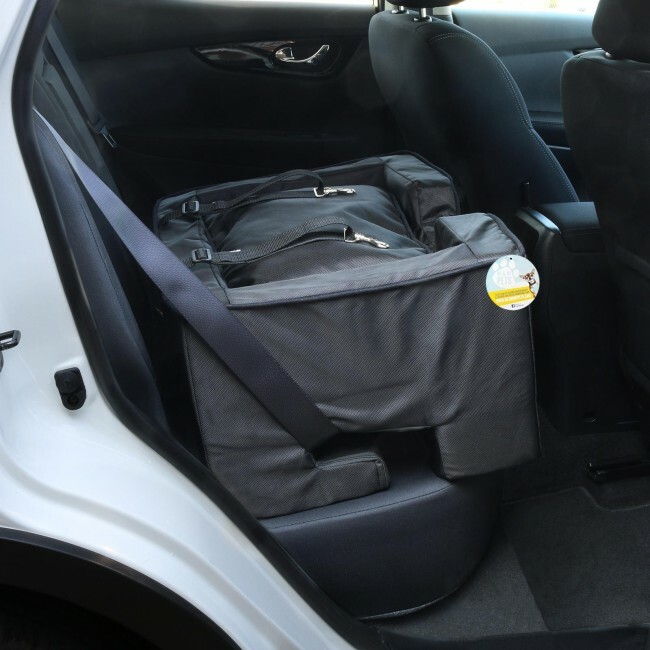 The carrier can then be held in place by a seat belt or you can use a seat belt clip as above. Some people may prefer to use a dog cage or a barrier to keep their dog under control. These are great, especially if your dog is quite happy to sit in the back. Just make sure they are secure and the cage isn’t sliding around. Ask yourself: if you had to make an emergency stop, would your dog be safe? Riding along in the car can be quite a novelty for your pet so seeing out the window can help cure their curiosity and make their time in the car more fun. 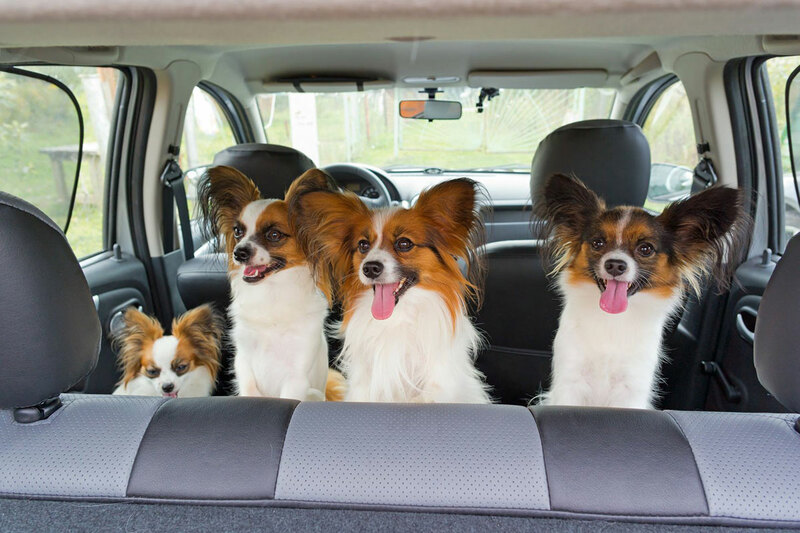 Of course, if your pet only has little legs, then seeing out can be quite a challenge so using a pet car booster seat is a great way of giving them a helping hand. These cushions can be easily held in using a seat belt, and have little harnesses so that pets can be secured while using them. It’s very important the car stays cool when driving with your pet. Even if it’s only 22 degrees outside, inside the car can reach up to temperatures of 47 degrees in just an hour. Dogs left in hot cars are at risk of brain damage and can even die of heatstroke in just 15 minutes. If it’s a hot day, don’t take the risk and make sure your pet stays cool and away from the car. If it’s not too hot to take your dog or pet in the car then it’s still a good idea to keep the car well ventilated with a nice cool breeze. You can do this more safely by using a pet car window vent. These allow you to have the windows open a little but will stop your pet from trying to poke their head out while on the go. Disclaimer: This content in this article is intended for information or entertainment purposes only, it is not intended to replace the advice of a vet or animal health professional. Your use of the information is entirely at your own risk and Me & My Pets assumes no responsibility for the use or misuse of the information found on this site. If you have any questions or concerns over your pet's wellbeing you should consult your vet immediately.